As inevitable as woman with a crown talking on the television after Xmas turkey, Santa is coming for you bearing gifts of a vape variety. Of course, logic says that we should be clearing stuff on the stand to make room. Logic says we can only use so many devices at one moment in time. But when did common sense enter into it? While the EU Commission has no immediate plans to review the regulation of electronic cigarettes within its revised Tobacco Products Directive, it will continue to monitor developments relating to the use of these products and will submit a report in 2021 in line with the requirements of the directive. The Italian Anti smoking league’s (LIAF) Scientific Committee in support of electronic cigarettes in the field of public health organized a workshop on the case of new heat not burn (HNB) cigarettes. The experts clarify the major differences between electronic and HNB cigarettes and advise legislators on the ambiguity of treating them the same way. Just sit back and watch the reactions come in. What will a Trump Amean for vaping? We don’t really know what Trump thinks about vaping, it wasn’t a major Presidential campaign issue. But we do know that he hates Government regulation: during the campaign he said that around 70% of Federal regulations could go under his Presidency. We also know that Tump allies in Congress like Duncan Hunter – the second Congressman to endorse Trump for President back in February – are big supporters of the vaping community. Next Generation Labs, which makes synthetic nicotine for e-cigar­ettes, argues that a recent statement by the Food and Drug Administration shows the agency does not plan to regulate e-liquids as tobacco products unless they contain ingredients derived from tobacco. I don’t think the statement shows anything of the kind, but I can’t be sure. Do you use CBD extract and live in a state without legal medical marijuana? You may not be able to get it for much longer. The U.S. Drug Enforcement Administration (DEA) issued a rule this week that clarifies its position that any product containing cannabinoids is illegal. That may mean the DEA and other federal law enforcement agencies could go after businesses that ship CBD products across state lines. That could include the many CBD-based e-liquids that have become very popular in the last couple years. Read The Alan Beard Daily ▸ today’s top stories via @HelenMcAvoy2 @Rosekhatri #publichealth https://t.co/KJhRglaPtl #BalancedDailyNews ? The researchers show that exposure to e-cigarette aerosols did not create DNA damage at similar or greater dose than combustible cigarette. The author estimate that e-cigarette experiment lead to a dose 12 to 28 times higher than combustible cigarette smoke. A director at Canada’s largest tobacco manufacturer took some time to chat with Metro about the cigarette industry this week. Alberta has some of the highest smoking rates in Canada and has been working to limit those numbers in recent years. Eric Gagnon, director of corporate and regulatory affairs at Imperial Tobacco, discussed falling sales, Alberta’s menthol ban and the rise of vaping. Just after COP7 concluded in Delhi, Oxford Dictionaries declared “post-truth” as its 2016 international word of the year, reflecting what it called a “highly charged” political 12 months. “Post-truth” is defined as an adjective relating to circumstances in which objective facts are less influential in shaping public opinion than emotional appeals. Its use dates to around 1992, but its 2016 selection follows the Brexit vote in June and the recently concluded U.S. presidential election. In countries such as Canada, France, the United Kingdom, and South Africa, measures aimed at reducing smoking and tobacco use are on the primary docket. Chief in each government’s arsenal is a requirement that cigarette and tobacco products be subject to plain packaging, with all cigarette logos and designs excluded and graphic warnings taking up all space. That’s caused a lot of panic at Big Tobacco. Controversial FDA rules for e-cigarette producers will badly damage the growing vaping industry. The regulations, finalized in August, require that any product not on the market before 2007—when there were no vaping products available—undergo a costly retroactive application process for federal approval in order to continue selling their wares. 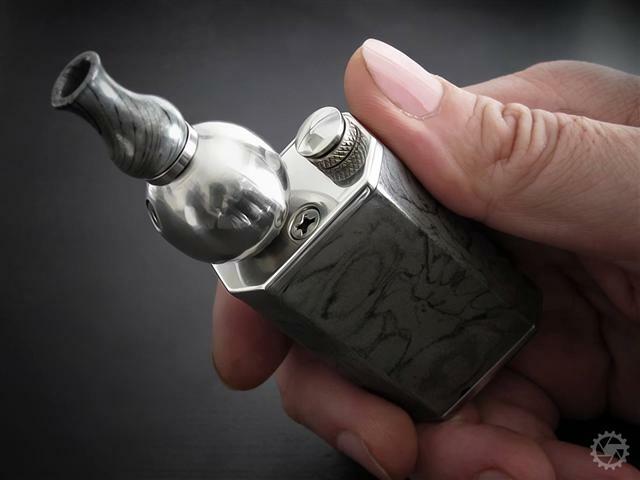 During his final weeks as an Indiana lawmaker, Sen. Brent Steele voted in favor of a controversial vaping bill that allowed only a handful of companies to make e-liquid sold in Indiana. Now, the recently retired lawmaker has taken a new job representing those companies. E-cigs have been mired in controversy for years. The author of highly restrictive EU e-cig regulations was accused of soliciting bribes from tobacco companies and had to resign. He was later found moving millions of euros to an offshore bank account. E-cig scientists have written to the EU claiming their studies were twisted to support the case for regulation. The EU is accused of having dozens of secret meetings with the tobacco industry while writing the regulations. I could go on. But now the controversy has moved to the UK…. Too often, nutritional science is abused or misinterpreted to suit an agenda or obsession. The results can be lethal. I grew up thinking it was dangerous to eat more than three eggs a week. That’s not true. I thought salt would give me high blood pressure. That’s not true either. I believed margarine was healthier than butter. Guess what? Not true. Why did I believe all those things? Because I was told, over and over again, that this is what health experts said….